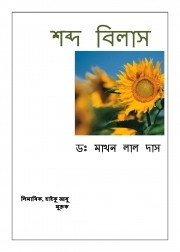 Description of "শব্দ বিলাস --XOBDO BILAX (eBook)"
Dr Makhan Lal Das, an engineer by education and a teacher by profession is a Ph.D in Chemical Engineering from IIT, Delhi. Through his blog "Abhigotar Xofura" ( www.drmakhanlaldas.blogspot.com ) and few e-magazines he has been writing short stories, memoirs, translated poems and articles, humorous essays etc. in Assamese as well as in English. He is currently the Principal of MGITER, Navsari, Gujarat. Reviews of "শব্দ বিলাস --XOBDO BILAX (eBook)"